from oxidation and keeps clean surface. No.3231009 Top　shows oxidized scales　formed inside the copper tube by brazing without using TOYO CLEAN COPPER. The scales give serious damage to the system. 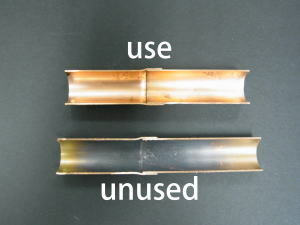 Bottom shows the inside of the copper tube after brazing with the use of TOYO CLEAN COPPER. The copper surface keeps clean enough for longer life of the system. 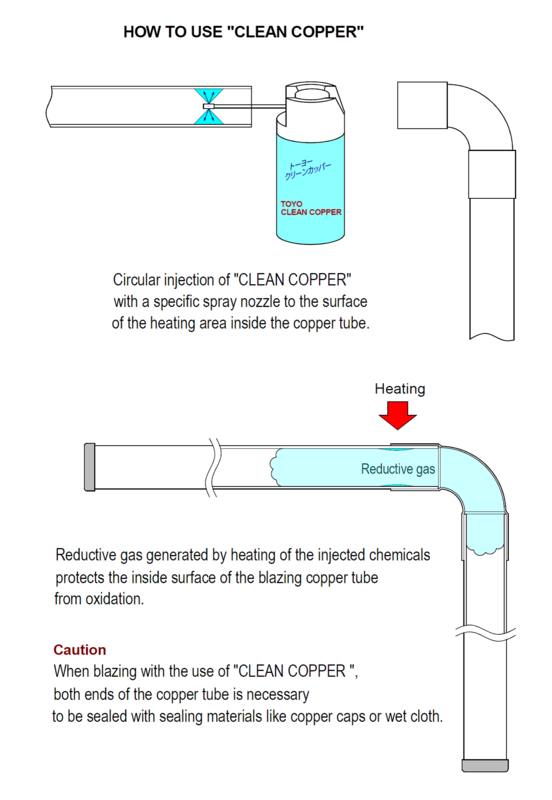 To prevent oxidation of the inside surface of copper tubes at the brazing time, CLEAN COPPER has following advantages over usually used N2 sealing method that fills whole tubing system with nitrogen-gas. 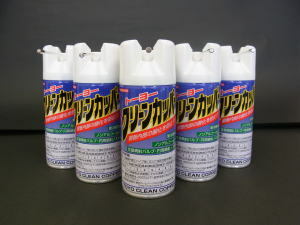 1, A can of TOYO CLEAN COPPER is very light (200 g) and easily handled. On the other hand, the nitrogen gas source is a very heavy cylinder to handle and takes time to replace air in piping with nitrogen gas. 3, Shortening of the work time and lower cost than nitrogen sealing method. 3, Seal one end of the copper tube, and then, spray TOYO CLEAN COPPER into the copper tube from another end.